In 1964, an Allegro Special was purchased by a boy. Now, most certainly a man, John Meyers, provides a rare glimpse into a bicycle that is used as any pedigree of bicycle should be. It is a rider. Something to treat gently and never abuse but none the less, a rider. Even after a significant restoration. John has generously provided his time, his thoughts and allowed us a brief view of his incredible Allegro as a Tell Your Story submission. 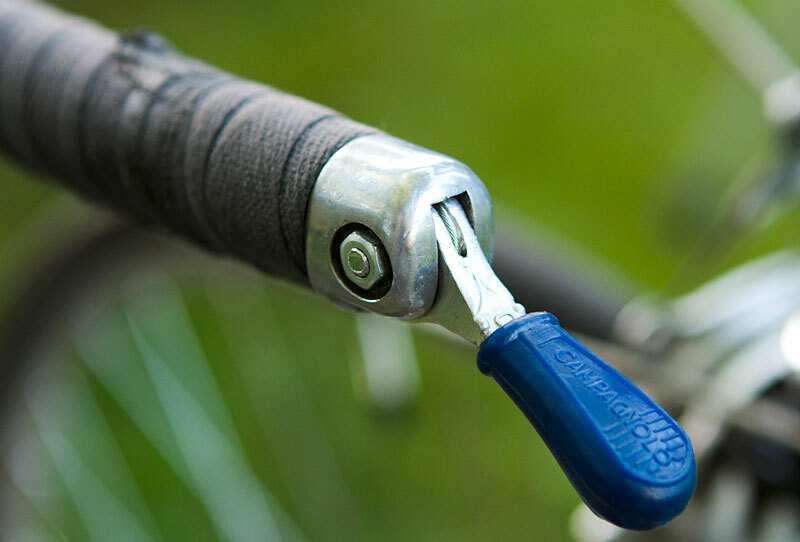 This feature is a way for visitors, like you, to share the history of their bicycles for all. 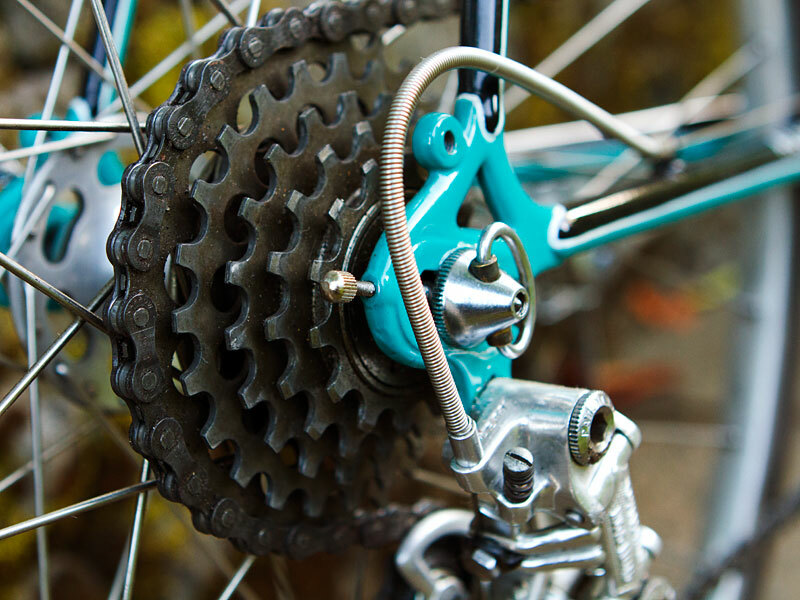 Enjoy John’s fine machine and while you do, please consider contributing your own bicycle and account to Tell Your Story. This is a love story starting in 1964. I first saw the lady at a local shop and was immediately taken by her beauty. I would come by the shop as often as possible to find out as much as I could about her. I found that she was Swiss born, from the Swiss mother, and that her father was 100% Italian. Her name was “Allegro Special” and she was particularly beautiful. I visited this local shop a number of times during the year 1964. 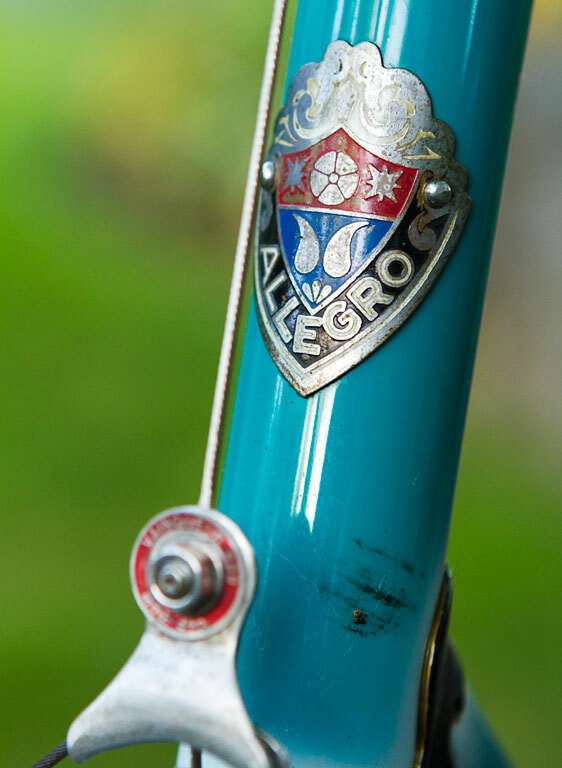 And then during Thanksgiving vacation of 1964 I found that the Allegro Special was on sale for only $240. I dashed home and gathered up my savings and raced back to the store, which was Bob’s Cycle Center In Fair Oaks, California (Schwinn dealership). 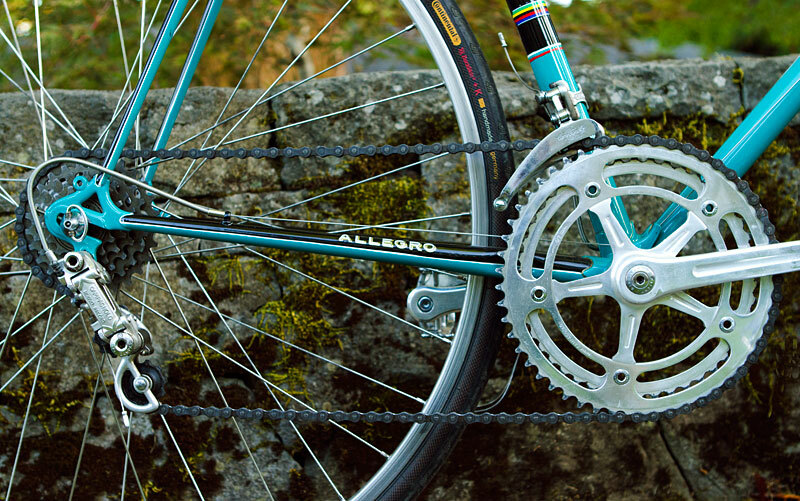 In the 1980’s I had the 5-speed freewheel changed to 7-speed… with indexed shifters and the rims changed to clinchers… tired of being a seamstress. Over the years as my stable became larger I found I was riding the Allegro less and less…then I came across the name CyclArt in Southern California and decided to find out what they were all about. 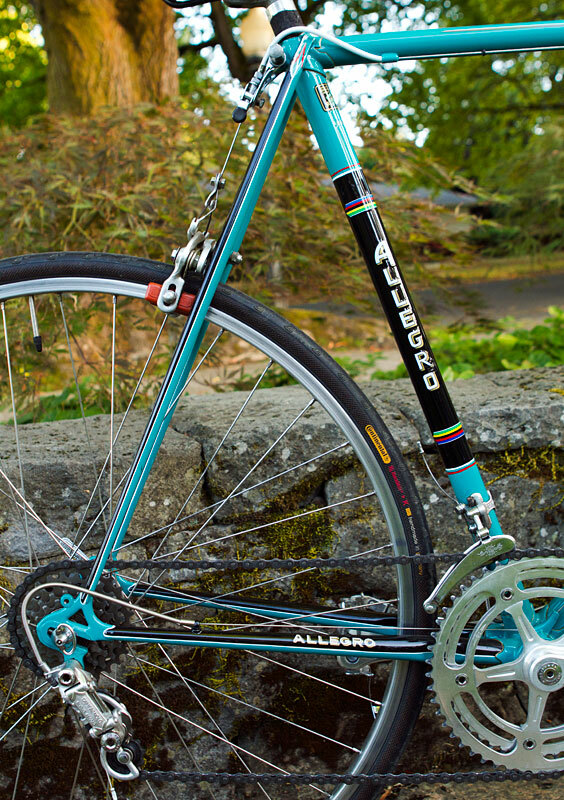 After talking with Jim Cunningham I decided to bring the original beauty back to the Allegro. 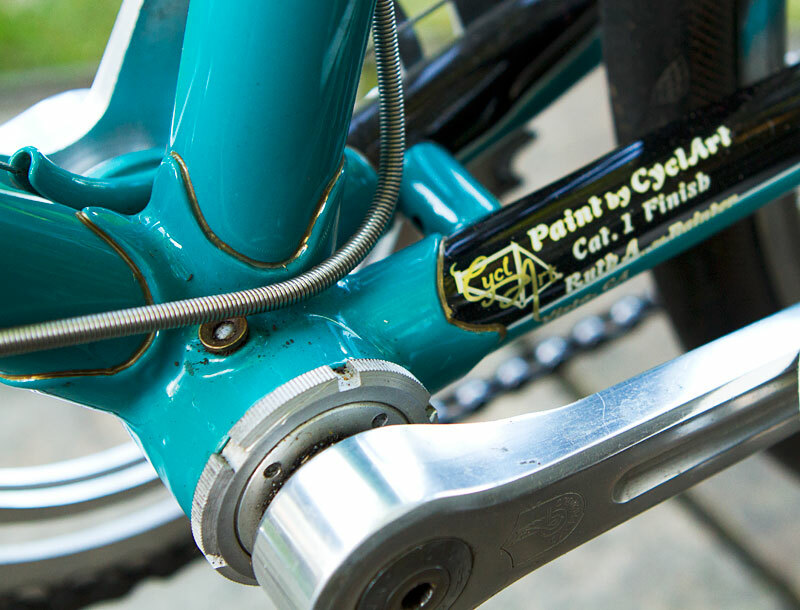 The paint job and decal work in the photo’s tell the story of the fine work the folks at Cycle Arts provide. When I got the frame back home I searched for all the original components I still had in storage, I found almost everything from the original bike. 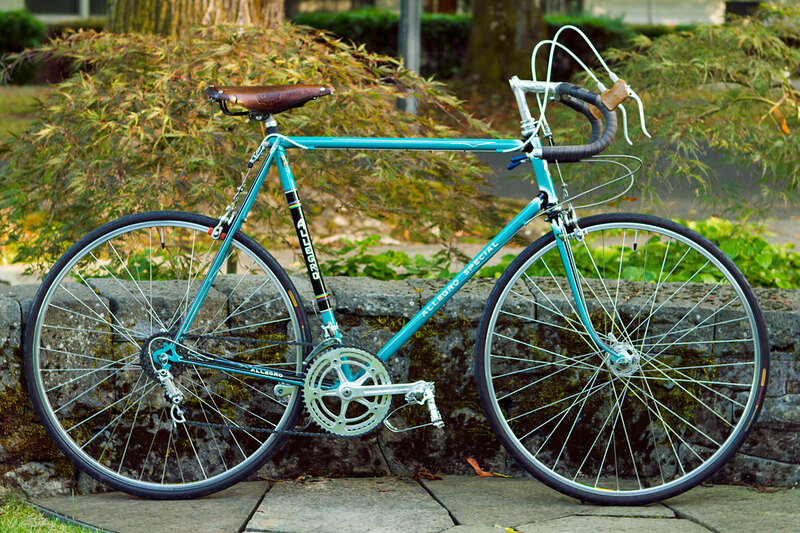 I then contacted by Dean Reed at Bike Central in Portland who took the job of assembling and finishing the bike. Dean is a master of vintage cycles and he filled in the few gaps in components to come up with the complete original package. I am in love all over again and enjoying every opportunity to spend time with an old flame. 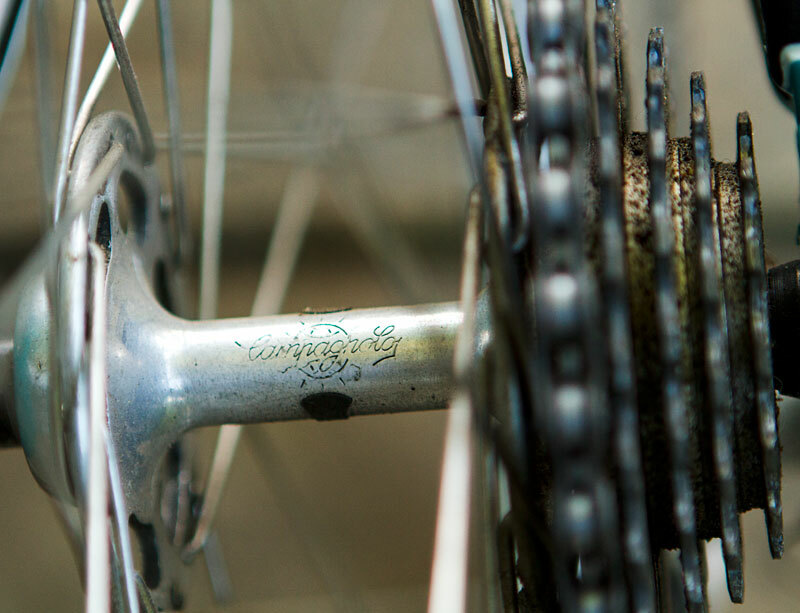 The joy of a “new” bike is always the same…albeit perhaps a little better the second time around. E’ bello vedere che da un altra parte del mondo c’è qualcuno che condivide le tue esperienze, ancora oggi tengo gelosamente conservata la prima bici da corsa che mi regalò mio padre. Sadly, I am not proficient in Italian but through online translation I believe I have the idea behind your post and can appreciate your thoughtful comments. Thank you. 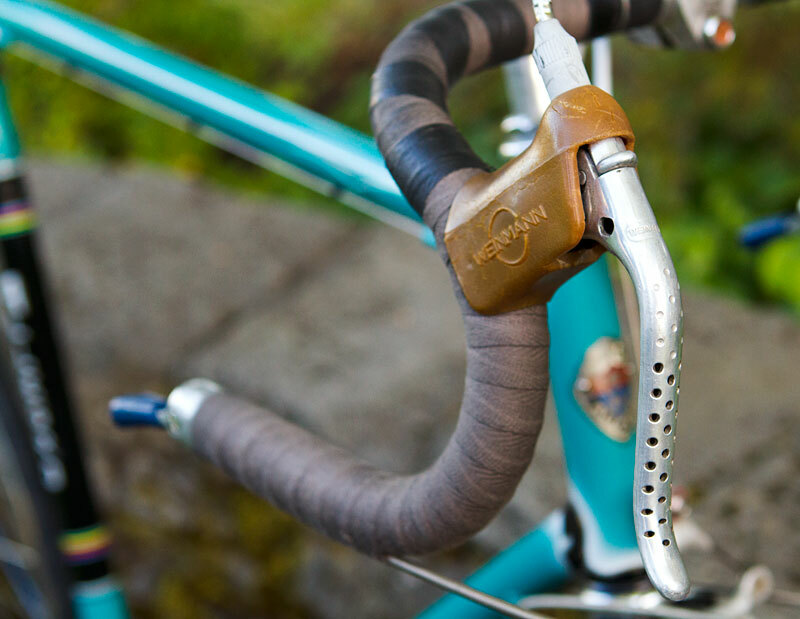 I have subscribed to your blog/website for quite some time now and enjoy all of your exquisite images of fine, Italian bicycle craftsmanship. Thank you for providing the world with such beauty. It’s nice to see it from a different part of the world there is someone who shares your experiences, even today I keep jealously preserved the first race bike that was given to me by my father. Swiss bikes! Gotta love ’em. 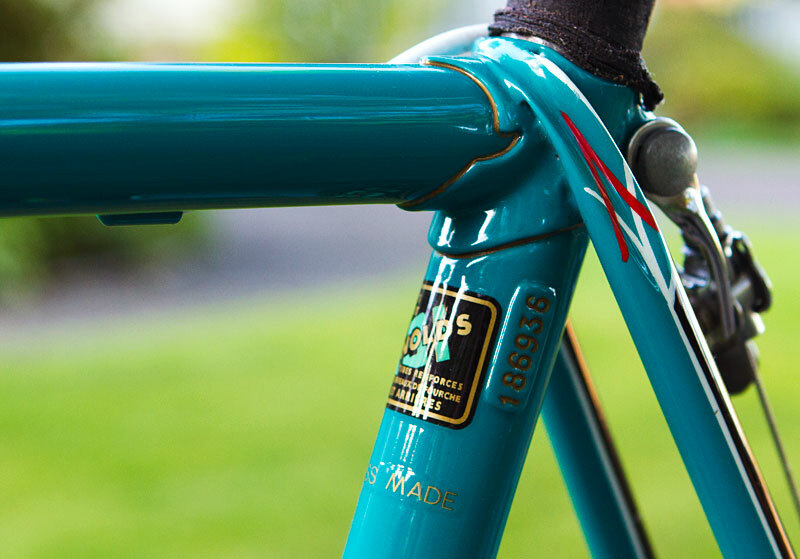 The finish work on the frame is extraordinary. 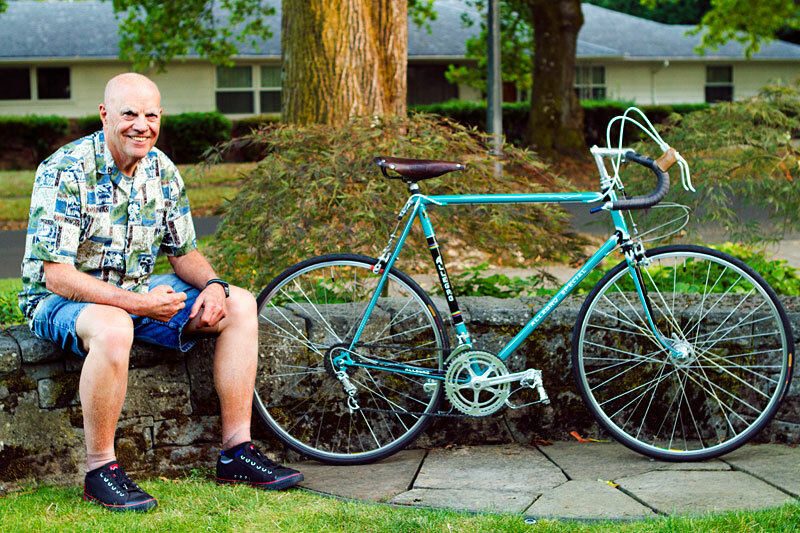 I enjoy these stories of life-long connections with a wonderful bicycle and the bond created and nurtured over the years. 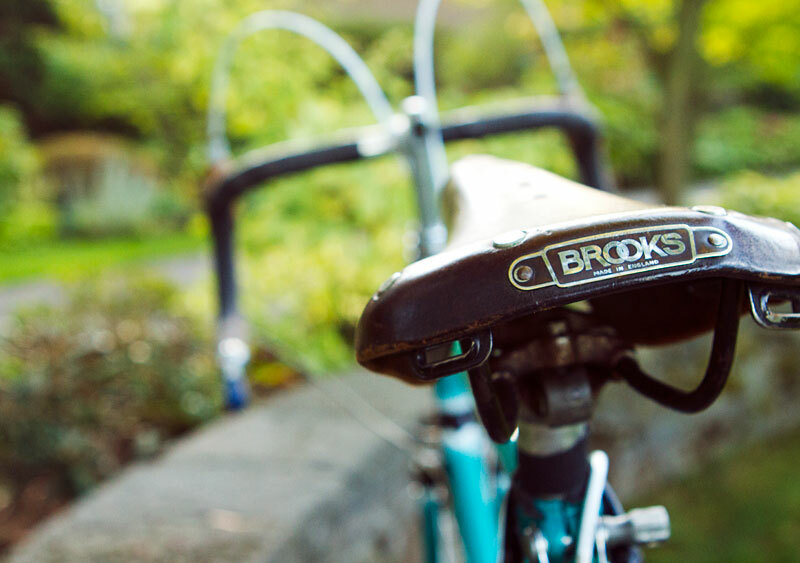 The Brooks saddle photo – it makes me want to hop on that saddle and go for a ride. Thank you for the kind words, Nola. All finished frames I have seen from CyclArt have been exceptional. But, one pays for it. And from what I know, you either pay to have a fantastic experience or get crafty/frugal/clever and have incredibly volatile and mixed results. I am so pleased with Tell Your Story. 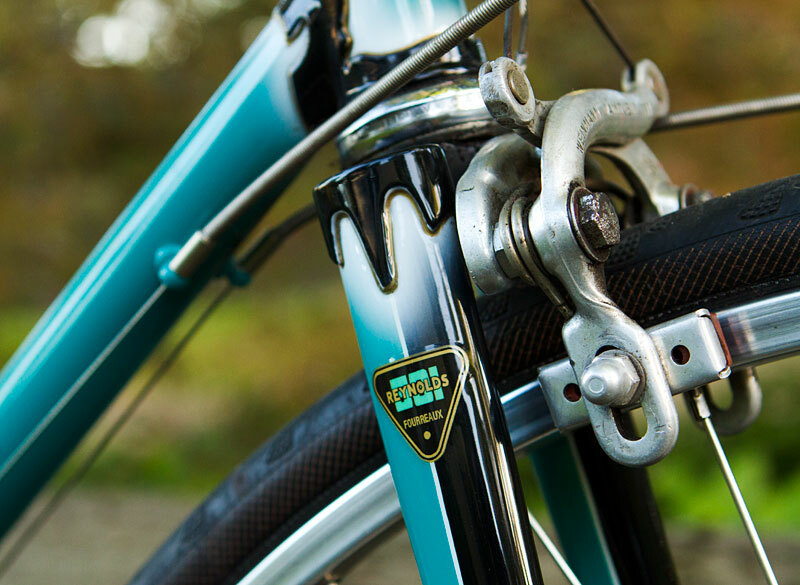 It gives depth and more substance to the site but more importantly, it becomes a history book for those proud individuals who own bicycles with a background that is worth sharing and a machine everyone should see. John, She is beautiful ! I could gaze at her for hours. 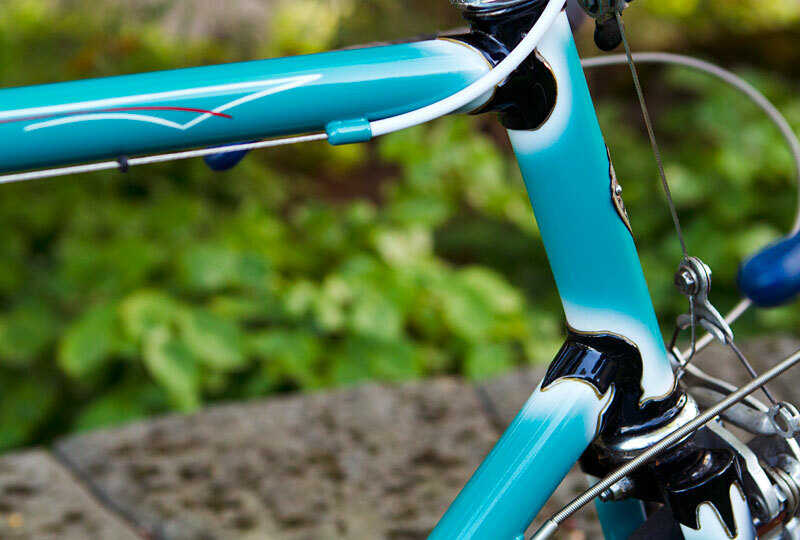 Was the top tube pinstripe originally present ? My Centurion of a much newer vintage shares the same design configuration on it’s top tube as well. Jay, Thanks for the kind words. Send me an email and I will reply with a pre-Cycle Arts photo. Maybe Josh could act as an intermediary if necessary. You have one beautiful machine, a real hand made beauty! 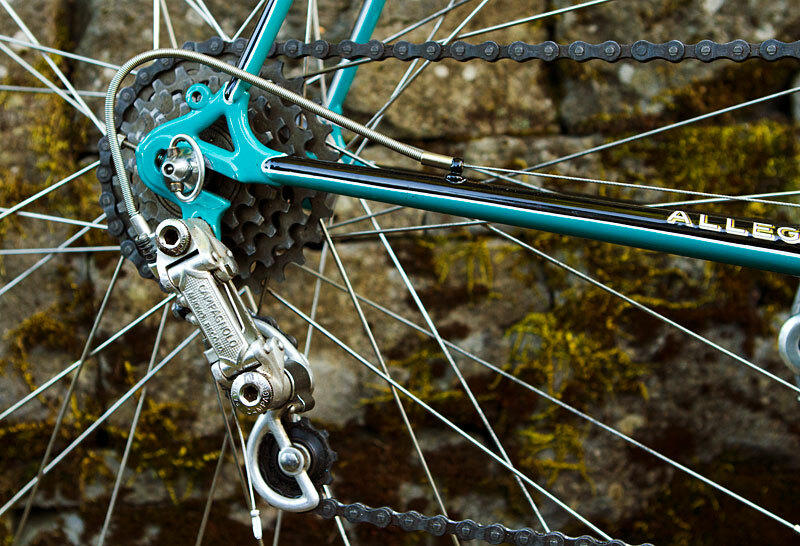 I bet it is one sweet ride …..nothing rides like Reynolds 531. I know that’s all I ride now. My 72 Motobecane Le Champion which I too had restored at CycleArt is now my main ride. My PX10 is my next project to make into a everyday rider…..the sew ups got to go and the straight block in the back! 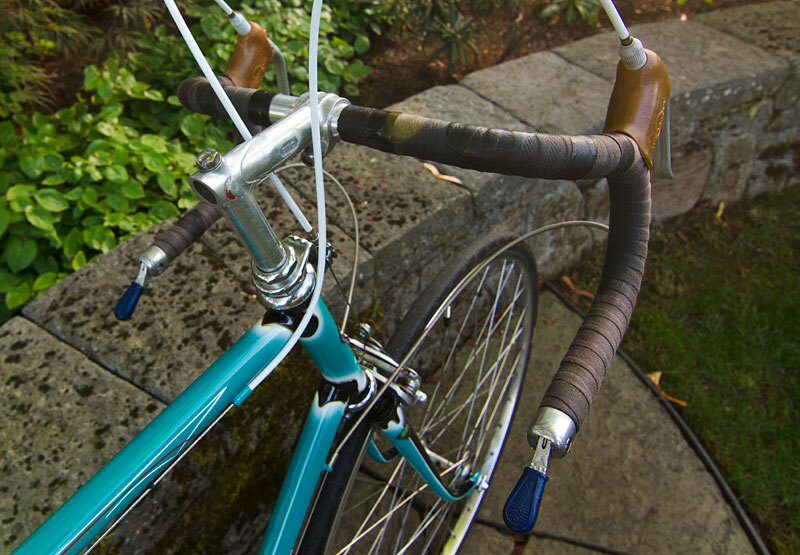 This entry was posted on November 13, 2016 by Josh C. in Tell Your Story, Topics and tagged Bike Central Portland, Brooks B17, Campagnolo Nuovo Record, City Cycles, CyclArt, guest blog, Pinstriping, Reynolds 531, Swiss bicycles, Weinmann 999.